Alabama’s football legends recall their greatest moments in this newly updated edition of Game of My Life Alabama Crimson Tide. From Harry Gilmer and his excellent play in the 1946 Rose Bowl to Antonio Langham’s heroics in the 1992 game against Florida that led the Crimson Tide to the Sugar Bowl, Alabama has had more than its share of great games, great players, and great moments, including its win over Clemson in the 2015 national championship. 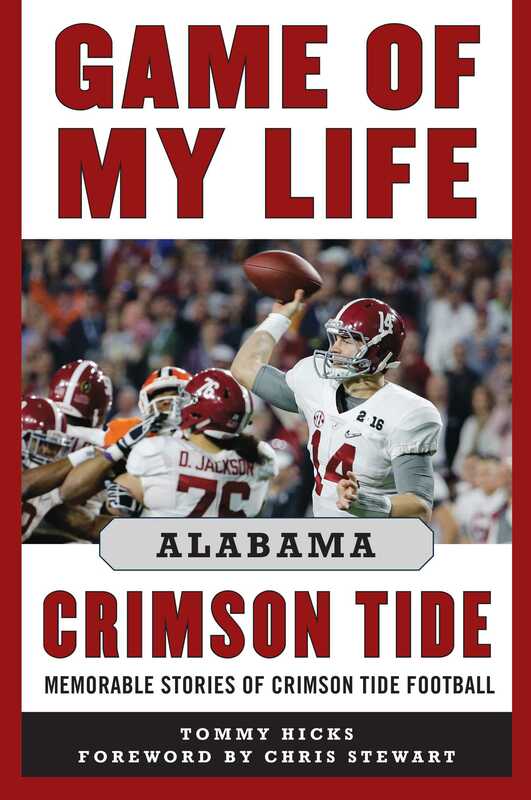 In Game of My Life Alabama Crimson Tide, Tommy Hicks takes readers behind the scenes and onto the field with some of the greatest Crimson Tide players ever. Fans will discover the simple advice and prediction head coach Paul "Bear" Bryant gave his team before the 1967 Auburn game won by quarterback Ken Stabler’s famous "run in the mud." Ken Stabler, Mike Shula, Brodie Croyle, Lee Roy Jordan, Cornelius Bennett, Billy Neighbors, Woodrow Lowe, Joey Jones, Bobby Humphrey, Greg McElroy, and many others all share their memories of the most defining, poignant, and heart-stopping games they ever played in. Game of My Life Alabama Crimson Tide highlights some of the games and moments that have added to the tradition of Alabama football.